We are looking to assemble a crew of volunteers willing to work in Morningside Park for a few hours on Saturday mornings over the next five weeks. 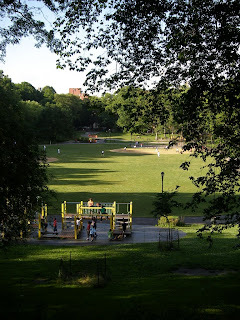 The park needs our help, especially in spring. If you have a strong back, gardening experience or just want to give back to a park that we all enjoy, please sign up here. We will be meeting at the TOP of the 113 stairs, just south of the pond, and will work from 10-1. If you can only give a little less time, that's okay too. We need YOU! Gardening experience is not required. You can also bring your children, but be aware that we are working with sharp tools and moving heavy objects. Please wear long pants or tall socks and full shoes or sneakers. Bring water. We will provide gloves. Or email us at northstar@thenorthstarharlem.com.